Companies know that investors often look for high returns on small investments, and in order to attract and retain risk-averse investors, miners tend to focus on de-risking resource projects. De-risking includes conducting extensive exploration work, appropriately financing the project in the short to medium term and working to lower production costs. De-risking resource projects holds great value to junior companies, while it can also be profitable for risk-averse investors who know what to look for. Risk lessens as a company moves a project through its various stages. These stages can include financing, drilling, resource definition, economic and feasibility studies, construction permitting and production. Potential investors must consider a company’s financial position, market capitalization and ability to fund a project. Companies can strengthen their position as a low-risk investment by securing the right financing package needed for each stage of their project. But they should also develop a detailed and accurate budget with timelines on how they will use their funds. Investors should look for a company with its share structure and financial details laid out, and a strong plan on how it will use its funds. This information should be highlighted in a presentation or press release. Miners and investors both want to profit, but neither will without a resource. Miners can de-risk a project by showing maps, trenches, samples, drill locations and past results from previous projects. Investors should be mindful of a project that has been recycled from an older project and simply renamed. A company should outline the technical aspects of a project by providing investors with information like a NI 43-101 or JORC resource, which ensures that misleading or erroneous information is not promoted or published. Companies should also detail any previous site visits, geological studies and plans that outline how the resource can be mined and processed profitably. “Although grade is often touted as king, it is actually the profit margin that counts and the ability to payback the original capital investment,” stated Joe Mazumdar and Brent Cook of Exploration Insights. Large projects can be attractive to investors, but they often carry extensive costs. Miners can lower costs by improving efficiency with technology like production visibility tools; these allow an automated view of operations results and can help companies adjust in certain areas. Companies can also invest in analytics to assess the costs of their processes and identify strengths and weaknesses. As a strategy, decreasing costs is often tied to planning. A company that is serious about tightening its processes and actively seeking out low-cost solutions will stand a greater chance of providing investors with a high return on investment. A safe jurisdiction carries less risk than a cheap jurisdiction, and will serve both the company and investor better in the long term. It’s important for investors to take notice of the jurisdiction the company plans to operate in, and seek out the information before investing. A safe jurisdiction is a fixed area of land with high geological potential for mineral exploration in a secure sociopolitical environment. It should include a good geoscience database with accurate and up-to-date claim maps, geological maps, regional geochemical and geophysical survey data and compilations of past exploration. The sociopolitical and regulatory aspects of a jurisdiction are often more complicated than the geological components. If a company has access to a strong deposit, but the country or region has laws that prevent the mining method needed to make a project economical, the deposit is worthless. “The value of a mining company’s assets below ground can only be realized if the social and political environment above ground enables production,” writes the World Gold Council in its study on the social and economic impacts of gold mining. Since many of the world’s rich deposits are found in poor regions, miners must also take on the burden of corporate social responsibility. Issues can include: how much a company will pay local workers and what the working conditions are like; what the company’s tax burden will be; whether the company will invest profit back into the area; what the environmental impact on the region will be; and how volatile the region’s political landscape is. A good relationship between a community and a mining company is crucial for a successful project. A management team should not only be experienced in mining, but it should be experienced in de-risking, something not all management teams have the capacity to do. The right team should have excellent technical skills backed by a previous history of success with the phases involved in de-risking. A competent technical team with no capital market experience may execute a poor financing plan. A capital market-heavy management team may get involved in a marginal project with no hope of ever being built or acquired. Investors can do their own research for more information on each management team member to determine if the company is right for them. When Toronto-based gold- and silver-mining company Kinross Gold (TSX:K,NYSE:KGC) purchased the Gilmore gold project in Alaska ― a property that has proven results in previous projects ― it instantly added 2.1 million ounces of gold to its measured and indicated resources. Doing this, Kinross de-risked many aspects of its project, offering immense economic benefits to both the company and shareholders. “With the Gilmore project, we continue to deliver on our strategy of pursuing low-risk, high-potential brownfield projects that can contribute to the long-term future growth of our company,” said Kinross Gold President and CEO J. Paul Rollinson. 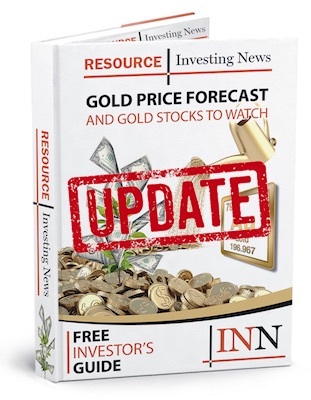 Vangold Mining (TSXV:VAN,OTCMKTS:VGLDF), a silver- and gold-mining company, has similar de-risking components of its project at the historic high-grade El Pinguico mine in Mexico. Unlike traditional mining projects, El Pinguico is unique in that it has over 700,000 tonnes of stock ore — at surface and underground — remaining from historical mining done on the property in the early 1900s. As Vangold Mining carries the project towards production, the company has been confirming historical assay grades and conducting a diamond drilling program across the project. For Vangold the last piece of the de-risking program was to build a “world-class” management team possessing multiple disciplines of experience. Including Dr. David Terry and Mr. Jonathan Challis as directors and incorporating a strong advisory board with industry “legends” Tookie Angus, Gregory Hawkins and John Budreski has definitely raised the probability of success. Companies that de-risk provide investors with a better opportunity to profit, since the company is showing that it is attempting to address issues before they arise. In the challenging world of junior mining, de-risking resource projects can help a company instill confidence in investors and provide transparency at the beginning of the relationship. This article was first published by the Investing News Network in April 2018.